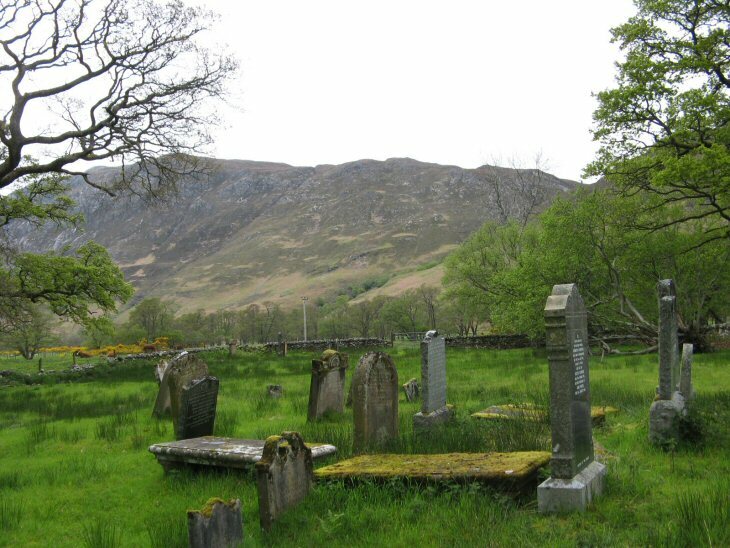 Ross & Cromarty Roots | Kinlochewe Old Burial Ground. Take road signed to Incheril just east of Kinlochewe, cross river, turn left before school and follow road to its end by a farm entrance. Walk through farm yard, turn left between barn and house, follow track heading for trees about 200m away. There are a few headstones only. There are probably many below the turf. The ground is low-lying and damp. Picture Added on 19 May 2009.